Pharma Franchise for Mouthwash Products – Looking for genuine mouthwash products for PCD Pharma Franchise? Want a good range of antiseptic and germicidal dental wash? 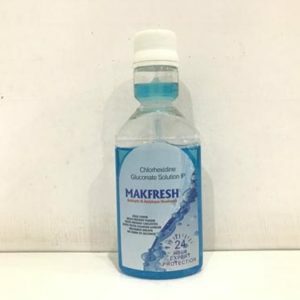 Maksun Biotech is a top pharma franchise company in India that brings you a good collection of antibacterial, antiseptic and best quality dental liquid wash. We welcome people who search for pharma franchise for mouthwash products at best rates. Here you will get quality mouthwash products at best rates. The dental market is profusely growing over the decade. One can expect a good business in this market. The initial demand for quality mouthwash for a good oral hygiene has increased. People are spending good to keep away plaque, bad breath, cavities etc. It is an all in one dental drug product! Maksun Biotech offers you pharma franchise for mouthwash products India. We have covered all the major cities in India like Chandigarh, Delhi, Mumbai, Hyderabad, Bangalore etc. The deals are genuine and you will get to enjoy a wide variety of DCGI approved dental drug medicines and products. When it comes to oral health care, the greatest share in the dental medicines market is mouthwash. It is handy and can be sued with ease and comfort. Mouthwash has a global worth of millions making its one of the fast consuming products around the world. With unhealthy living standards of the people, oral hygiene and dental care are at stake. Dangerous chemical additives in food and poor personal care products have raised awareness for owning a mouthwash to keep the cavities and plaque at bay. The CAGR of global mouthwash market is said to be 4.59% from 2016 to 2021. Alcohol-free mouthwash has helped expand the markets to population segments suffering from diabetes, dry mouth, and patients with radiation therapies or systemic diseases such as Sjogren’s syndrome etc. People are getting aware of the dental health and its importance for strong teeth and gums. Thus, the market has been attracting buyers across the nation. It is widely being prescribed by doctors and dentists along with approvals from dental associations. Mouthwashes are healthy alternatives for quick, easy and reliable solution to fight germ, plaque and bad breathe. Though secondary to oral care after toothpaste, it has been gaining worldwide attention. Mouthwash helps keep the pH of mouth stable and fight different gum diseases. This has created a good shift in demand for a quality dental wash. Starting a pharma franchise business of these predicts can be profitable. Mouthwashes are fast becoming a part of primary oral care routine, i.e., before or after brushing. Thus, one can expect its demand everywhere in India. People frequently buy it for day-to-day uses. The sales are good for this range. One can expect good returns and profit margin in this segment of dental care. You will be supported by genuine pharma franchise deals at good investments. We are a reputed pharma manufacturer and supplier. Thus, we provide DCGI approved top quality drugs at most reasonable rates. Vast marketing inputs and items are offered by our company. Low sales targets are given by the company. On attainment of these goals, you will get handsome incentives and bonus. You can simply call us at +91 9254212333, +91 9541556444 or leave a message through email @ maksunbiotech@gmail.com. You can even text through contact inquiry form. We welcome serious people who are interested in a good PCD franchise business in India.